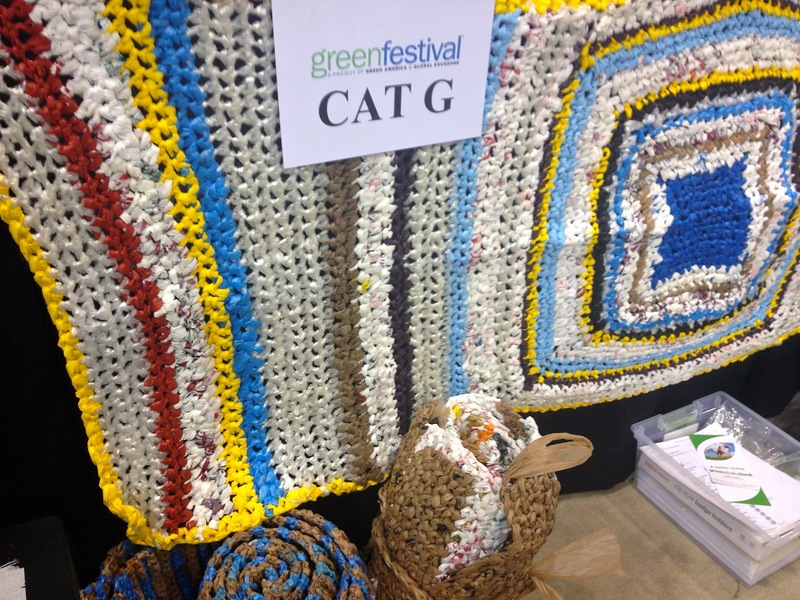 Georgia's Home Inspirations: All Hands On Earth - Highlights From Chicago's Green Festival! All Hands On Earth - Highlights From Chicago's Green Festival! 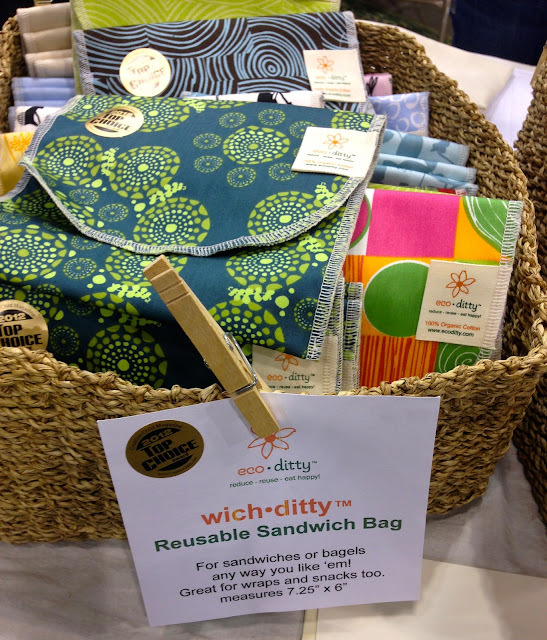 eco ditty - Makers of reusable, organic lunch, snack and sandwich bags. When you use one of these items, you're keeping a plastic bag out of the landfill and dangerous toxins out of your body! The Greatest Candle - You aren't going to believe this! This company makes a powder that allows you to turn cooking oil waste into a vegetable based, eco-friendly candle. It takes just 2 minutes in the microwave and 15 minutes to solidify the wax. Did you know that for each 100 ml of cooking oil that you recycle, you save 100,000 liters of water? The candles are long burning and there are great fragrance choices. We will demo this for you in a future post. 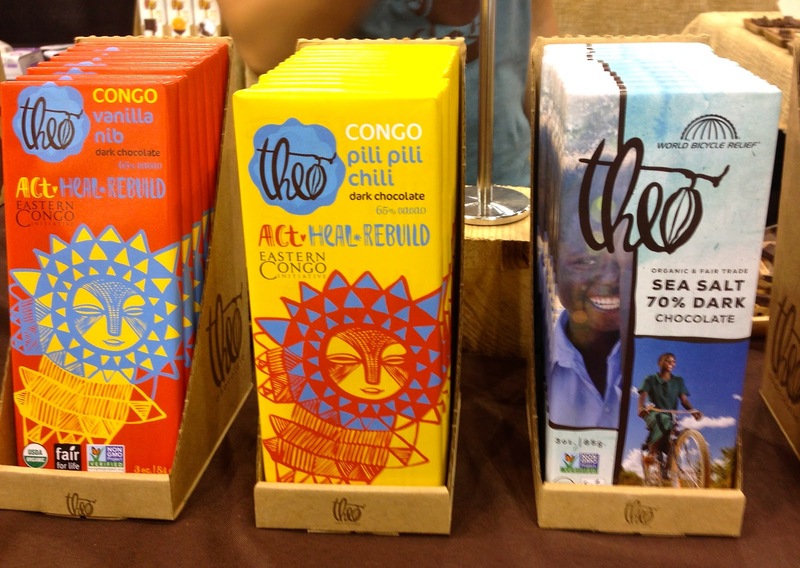 Theo Chocolate - This Seattle, Washington, chocolate maker cares about the way they "touch lives across the planet." They are the first organic and Fair Trade bean-to-bar chocolate factory in North America. The chocolate is truly high quality! Working Bikes - A midwest organization dedicated to recycling bikes and making an impact. 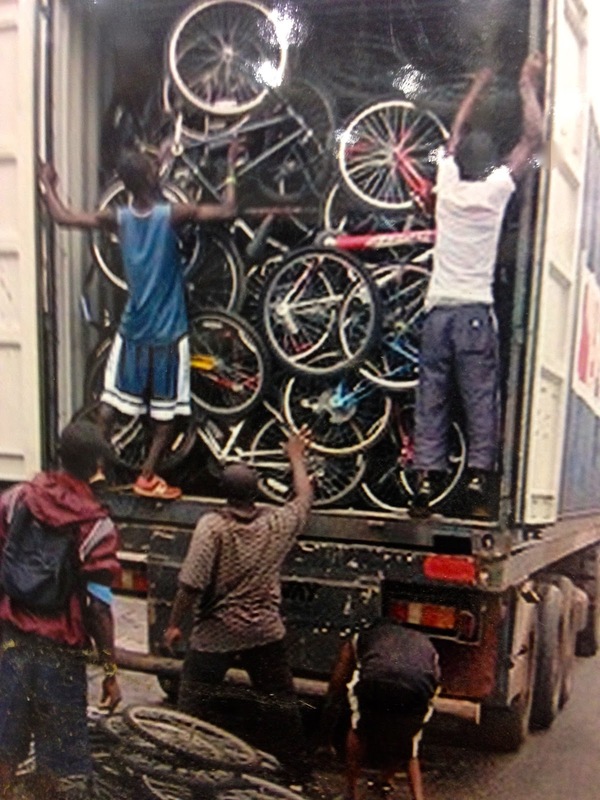 Discarded and donated bicycles are refurbished and redistributed as tools of empowerment in local and global communities. They ship over 5,000 bicycles per year and partner with groups that provide employment to severely underserved populations. Bicycles are even used as a source of electricity through the creation of pedal-powered machines! New Life for Old Bags - This project reuses plastic bags to help the environment and aid the homeless. 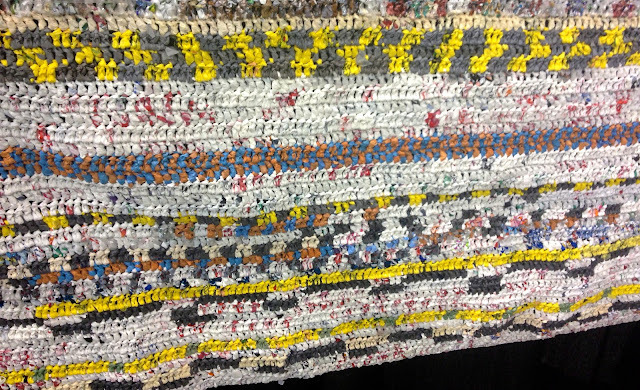 Volunteers get together to turn plastic bags into plastic yarn (plarn) which is crocheted into sleeping mats for the homeless. We will demo this project in a future post, too; but, in the meantime, if you would like to join a group or start one of your own, search "new life for old bags" on Facebook. It is an open group. go dotty go! 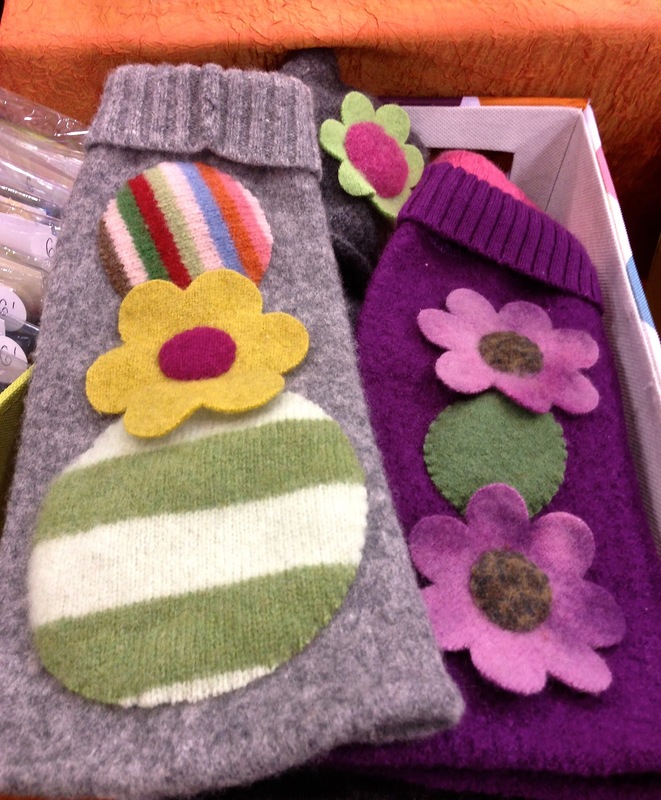 - These ladies recycle unloved wool sweaters! The wool is felted, cut and transformed into scarves and accessories. 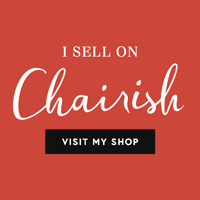 We think they make perfect one-of-a-kind gifts! We hope we've inspired you to learn about and support green and Fair Trade businesses! A Mother's Day Letter From Mom!